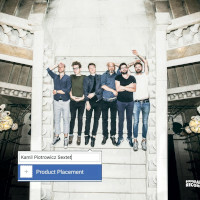 This is the third album by Polish Jazz pianist/composer/bandleader Kamil Piotrowicz recorded with the same sextet lineup which recorded the previous album a couple of years earlier. Besides Piotrowicz the sextet also includes trumpeter Emil Miszk, saxophonists Kuba Więcek and Piotr Chęcki, bassist Andrzej Świes and drummer Krzysztof Szmańda. The album presents eight original compositions, all by Piotrowicz, one of which is an epic multipart eighteen and a half minutes long piece and another is a short bonus track closing the album. The music on this album makes a bold step towards Free Jazz and other less constrained musical forms in comparison to the two earlier albums, with the traditional sense of composition almost completely lost in the process. Of course the music has a coherent continuum and sense of direction, but there are almost no melody lines or steady rhythmic passages. As a result the music simply flows propelled by its intrinsic drive and allows the instrumentalists to create the sound on the fly. It is often very difficult to distinguish between the "composed" and the improvised ingredients of this music, not that it really matters, as the end result is what counts, similarly to an attempt to analyze an abstract painting and try to find in it the pre-designed and the spontaneous smears of paint. The album is a stupendous exhibit of ensemble work, without which the entire creation would have simply collapsed on itself. The level of conversation and mutual influence, as displayed by the sextet members, is simply phenomenal. Obviously they are all superb instrumentalists, as is clearly heard all along the way, but this music is all about fusion of individual statements into an amalgam, which is way grander than just a sum of its ingredients. Piotrowicz obviously plays a central role in the entire process and his piano lines and synthesizer parts serve both as the glue and the backbone of the entire musical structure, strangely playing more a role of a conductor rather than a soloist. In spite of the devilish complexity, multi-layered and multi-directional structure, unusual approach and even eerie sound at times, this music is remarkably lucid and comprehensible and as a result accessible. In complete contrast to most Avant-gardish statements of such scope, this album is a true pleasure to listen to, which hopefully will help this music to reach as wide an audience as possible. Overall this is another brilliant album made by young Polish Jazz musicians and another pretender to the title of one of the best albums of 2018. It is also another statement of quality, which puts the Polish Jazz right at the very top of the European level. By now Piotrowicz has entered the "serious" league of contemporary European Jazz Artists, well earned and praiseworthy by any standards. Personally I already can't wait for the next album. Well done messieurs and hats off high! This is the debut album by the young Polish Jazz quartet Entropia Ensemble, which consists of saxophonist Dariusz Stanisławski, keyboardist Marcel Baliński, bassist Rafał Różalski and drummer Kacper Kaźmierski. The album presents eleven original compositions, six composed by Baliński and one each by Kaźmierski and Stanisławski. The remaining three compositions remain mysteriously unauthored. The music was recorded at the Monochrom Studio and engineered by Ignacy Gruszecki with the usual spectacular sonic quality. The music is a highly interesting collection of modern Jazz compositions, melody based but clearly open to include unexpected twists and turns, polyrhythmic tempi and Free group improvisations, all this without loosing the focus for a single moment. These clever young chaps seem to have a complete disregard of stylistic conventions and frivolously move between tango, Free Jazz and Swing within one tune without even blinking, in the true spirit of the Avant Garde. There is plenty of space on the album for personal expressions and all four members of the quartet get proper exposure. The piano leads the twisted melodic plot, the saxophone improvises on top, the bass takes care of the linkage between the parts as well as carrying the lot together and the drummer adds a steady clockwork beat and frenzy explosions to confuse the listener whenever possible. Overall this is an incredibly intelligent, devilishly clever (perhaps a bit too clever), totally surprising, completely unusual piece of music, definitely one of the most striking (if not the most) debut albums of 2018 on the vibrant Polish Jazz scene. With hundreds of albums released in Poland alone, recording a highly original and completely innovative album is an almost impossible task – but these young musicians stand up to the challenge with eloquence and a fantastic sense of humor (or sarcasm). Absolutely stunning! Tomasz Dąbrowski zdążył przyzwyczaić już swoją widownię do tego, że regularnie można obcować z dźwiękami jego trąbki na coraz to nowszych płytach. W tym roku między innymi na takich wydawnictwach, jak "Basement Music" w duecie z Jackiem Mazurkiewiczem, "The Jig Is Up" w ramach kwartetu FUSK czy wydanym właśnie na winylu albumie "Ninjazz". Z przyzwyczajeniem mogłaby wiązać się przewidywalność, a to w jazzie zjawisko najgorsze z możliwych. W tym jednak wypadku przewidywalność dotyczy... dobrej jakościowo, różnorodnej muzyki improwizowanej, czego Dąbrowski jest gwarantem. Jego najnowsza płyta to kolejny owoc współpracy z artystami japońskimi, z którymi w 2015 roku wydał krążek pod tytułem "Strings". Tamta sesja była pierwszym spotkaniem Polaka w składzie z pianistą Hiroshim Minamim, kontrabasistą Hirokim Chibą i perkusistą Hiroshim Tsuboi. "Nagrywaliśmy w środku nocy w tokijskim klubie. (…) Pragnienie grania świetnej muzyki wzięło górę i wszyscy to czuliśmy, niezależnie od tego, że nie mogliśmy o tym porozmawiać" – wspomina Dąbrowski. Nie wiem, jak od tamtego wydarzenia ewoluowała komunikacja werbalna trębacza z Japończykami, ale ich muzyczne porozumienie prezentuje się teraz bardzo dobrze, na co wpływ najpewniej miały również wspólne trasy koncertowe. "Ninjazz" oferuje dziewięć utworów, które – pośród surowej, niemal wyłącznie akustycznej gry kwartetu (wyjątkiem jest okazjonalne użycie elektroniki przez kontrabasistę) – stanowią eksplorację rozmaitych myśli w sprawach kompozycji, emocji czy brzmień. Dąbrowski zręcznie równoważy te zainteresowania: bez epatowania żadną z konwencji, operuje melodiami bez upiększeń i freejazzową gęstwiną dźwięków, ale również chętnie sięga po zabiegi sonorystyczne czy liryzm o nieoczywistej urodzie. Udaje mu się mądrze łączyć różne energie w zespole, zestawiać odmienny typ pracy muzyków, ciekawie zmieniać dynamikę utworów. Mimo tego interesującego bogactwa środków, na "Ninjazz" – czego z postawą wojowników ninja na pewno nie skojarzymy – dominuje swoista intymność tworzenia. Najbardziej osobiste partie należą do lidera, ale również pianista opowiada o sobie niemało. Akcja kompozycji najczęściej toczy się niespiesznie, kwartet ma czas, by przewidziane przez Dąbrowskiego melodie, rytmy i sfery przemierzać. To album ciekawy, wielobarwny, trudny do zaszufladkowania. No, chyba że na szufladce znajdzie się po prostu napis: "Tomasz Dąbrowski". 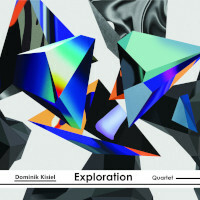 This is the debut album by the young Polish Jazz pianist/composer Dominik Kisiel and his quartet called Exploration Quartet, which also includes saxophonist Michał Jan Ciesielski, bassist Piotr Szajrych and drummer Antoni Wojnar. The album presents eight original compositions, all by Kisiel. The music is a melody based modern Jazz, with typical Polish lyrical inclinations, and melancholic tendencies, which the young Polish Jazz generation seems to have adopted as their favorite modus operandi. The beautiful themes are all wonderfully crafted and serve as ideal vehicles for the musicians to express their improvisational abilities. Some more energetic and more open compositions are also included, to balance the low-key material, and those are equally impressive. Both Kisiel and Ciesielski are able to articulate the melodic motifs and the improvised parts formidably, amicably supported by the rhythm section every step of the way. Together the quartet is able to create a coherent and well balanced ensemble sound, which does not reflect any lack of experience in spite of the of the musicians' young age. Overall this is a very impressive debut, which emphasizes both Kisiel's compositional skills and his work as an instrumentalist, superbly supported by his quartet members. Since the album's release was postponed for technical reasons (it was recorded in 2016) and Kisiel and the quartet also released this year (2018) a live album, with different but no less excellent material, this year is certainly a remarkable jumpstart of his future career, which is definitely worth following. Well done indeed! 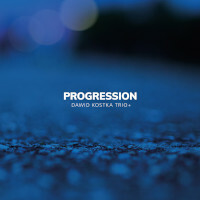 This is the second album by Polish Jazz guitarist/composer Dawid Kostka, recorded in a trio setting with bassist Damian Kostka and drummer Mateusz Brzostowski, with two top Polish Jazz musicians as guests: saxophonist Maciej Kociński and pianist Paweł Kaczmarczyk. The album presents nine original compositions, all by Dawid Kostka. The music was recorded at the Monochrom Studio and engineered by Ignacy Gruszecki and offers a spectacular sound quality, precision and clarity; a heaven for Hi-Fi enthusiasts. The music is a superb collection of stylistically diverse compositions, all melody based but offering a wide spectrum of moods, feelings and tempi, clearly pointing out Kostka's compositional abilities. Stylistically Kostka seems to feel equally at ease with post-Bebop, Fusion and Modern European Jazz and listening to the album is a true joy ride through contemporary Jazz. The performances are also nothing short of stellar. The two guest musicians require no introduction to Polish Jazz cognoscenti and their performances here are as good as one might expect, far beyond just a guest appearance, involving a full integration within the quintet sound. Kociński, who sadly slightly dropped off the horizon lately, delivers some heartfelt soli that are wonderful reminders of his heydays with Soundcheck and Kaczmarczyk never disappoints with his fluidity and musicality. The rhythm section is perfectly integrated with the soloists and offers a versatile and interesting technical competence, with solid and clear bass lines that hold the music together and support the harmony and creative drumming pulsations which are both precise and imaginative. But of course Dawid Kostka is the true hero of this album, playing outstanding guitar parts throughout, changing his sound and attack often and presenting a portrait of a mature Artist, who knows exactly where he want to go with his music. His guitar artistry and obvious virtuosity are the absolute highlight of this album, which is definitely the best Polish Jazz guitar offering for 2018. Overall this is the true debut album fully deserving to feature Dawid Kostka's name on it, with the debut recorded a couple of years earlier being just a forgettable incident, which was just a teaser of his true abilities (as mentioned in my review of that album). 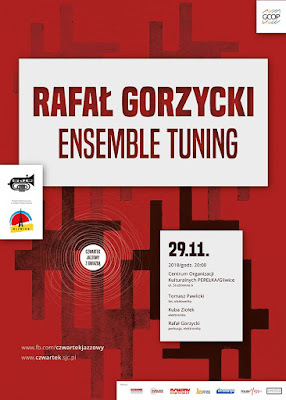 This is definitely a major achievement and places Kostka in the forepost of the Polish Jazz guitar players, which is rather small considering the size and the vitality of the scene today. Wonderful from start to finish, this album is a true delight and a must for Polish/European Jazz connoisseurs! This is the fourth album by American (partly resident in Poland) bassist Mike Parker and his second album with the Trio Theory, which also includes Polish saxophonist Sławomir Pezda and American (also partly resident in Poland) drummer Frank Parker. 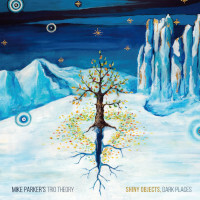 The album presents seven original compositions, all by Mike Parker. The music is melody based modern Jazz, which in contrast to the preceding album with the trio, which was recorded live and presented mostly Free Jazz approach, is much more organized and structured. Of course there is still plenty of improvisation herein, which dominates Pezda's superb performances, but the overall approach is much more relaxed and "disciplined". 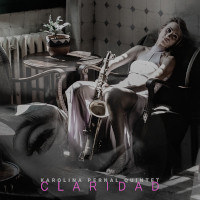 The album develops on two separate planes: the energetic and highly complex improvised saxophone parts and the hypnotic rhythmic background created by bass and drums. When combined, these two planes overlap splendidly and the resulting music amalgamates rhythm and melody into one cohesive unity, which is highly emotional and moving. All three players demonstrate highly developed technical skills and understanding of the Jazz idiom. The rhythm section is mostly very powerful and carries the strong beat in a manner closely related to rhythms originating in African Cultures. Pezda is naturally more related to the European approach but his saxophone playing is also strongly related to early Free Jazz Masters like Albert Ayler and Eric Dolphy. He certainly emerges on this recording as one of the leading Polish Jazz saxophonists of the young generation. The music on this album is quite different from most other Polish Jazz recordings, which mostly follow a much mellower, melancholic and lyrical trends, whereas here the main tendency is more raw and penetrating, facing the listener right in his face rather than appealing to his intellectual antennae. Mike Parker deserves praise for the wonderful compositions he created for the trio. Overall this is a splendid outing, which is definitely worth being discovered and admired and an important step in the career of the musicians involved. Wholeheartedly recommended! Znajdą się zapewne osoby zaskoczone faktem, że na naszej liście pojawia się opisywany tu tytuł. Jednak rzut oka na skład muzyków i odnalezienie nazwiska Darka Oleszkiewicza ewentualne wątpliwości powinno rozjaśnić. Zresztą dwójka spośród pozostałych muzyków także rezyduje od lat w Stanach Zjednocznych, a sam Kei Akagi, w którego karierze znaleźć można chociażby epizod gry w zespole Milesa Davisa, określa się mianem japońskiego Amerykanina. Multikulturowość odniesień podkreśla też podtytuł albumu: "Współczesne azjatyckie perspektywy w muzyce amerykańskiej". Spośród ośmiu kompozycji, jakie pojawiają się na płycie, cztery napisał Akagi, a po jednej Kojiro Umezaki i uniwersytecki kolega obu wymienionych muzyków, Christopher Dobrian. Wreszcie dwie są autorstwa Masao Hommy, znaczącej postaci muzycznego świata powojennej Japonii. Pierwsze trzy utwory zabierają słuchacza w świat melodyjnego, niezwykle przyjemnego mainstreamu. Solowe i duetowe introdukcje przechodzą w ciekawe zespołowe granie, gdzie wiodącą rolę odgrywa shakuhachi Umezakiego. Jednak "Aqua Puzzle", choć jest płytą spójną, to jednocześnie potrafi zaskoczyć zmianą, niemal niezauważalnie przemieszczając się pomiędzy różnorodnymi stylami. Dwa kolejne nagrania to dzieła wspomnianego Masao Hommy, które przenoszą słuchacza bliżej świata muzyki improwizowanej, współczesnej klasyki, ale także muzycznych tradycji Japonii. "Aria (For Kei)" napisana została z myślą o improwizacji, ale Akagi zmienił ją zupełnie dopisując melodię. Pół nagrania to duet fortepianu i fletu, druga część z kolei to niemal w całości delikatna, prawdziwie jazzowa ballada. Zakończenie zaskakuje solem fletu shakuhachi. "Jakkyo VIII" jest wyjątkiem z pisanych niemal dwie dekady fortepianowych duetów. Zagrany zgodnie z założeniem tylko przez Akagiego i Umezakiego, uzupełniony jest z kolei o część improwizowaną. Trzy finałowe nagrania to kolejny krok, tym razem zdecydowanie ku swobodnej improwizacji i free jazzowi. "Return Portal" i "Resident Outlier" są hołdem dla Hozana Yamamoto i Masubumiego Kikuchiego – odpowiednio mistrza shakuhachi i wybitnego pianisty, którzy współpracowali ze sobą przez czterdzieści lat. Nie mamy jednak do czynienia z kolejnymi duetami, a kwartet daje tu pokaz zespołowej gry, pełnej równości każdego z instrumentów. Kończący płytę "Haibun" to już niemal w całości free. Porywające i elektryzujące. "Aqua Puzzle" to jedno z ciekawszych odkryć, jakie trafiły do mnie w ostatnich miesiącach. Z dobrze przemyślanym i skonstruowanym programem oraz świetnym wykonaniem. Rozbudowane utwory dają możliwość wplecenia w nie i dłuższych solówek poszczególnych muzyków, i zmian w konfiguracji grających instrumentów. Są – jak już wspomniałem – fragmenty wykonane w duetach, a w "Return Portal" nieoczekiwanie pojawia się dłuższa część zagrana bez fletu w estetyce klasycznego, jazzowego fortepianowego tria. Jest czysty jazz i szalona improwizacja. Są wreszcie prawdziwie wybitni instrumentaliści. A wynikiem tych wszystkich zalet jest bardzo dobra płyta. This is the debut album by Polish Jazz saxophonist/composer Karolina Pernal recorded in a quintet setting with Italian saxophonist/clarinetist Achille Succi and Polish pianist Kuba Płużek, bassist Jakub Olejnik and drummer Wojciech Buliński. The album presents six tracks, five of which are original compositions: three by Karolina Pernal and two by her spouse trombonist Bartosz Pernal and one is a Sam Rivers composition arranged by Bartosz Pernal. The album was recorded at the Monochrom Studio and engineered by Ignacy Gruszecki with the usual excellent sound quality. The music is all kept within the melodic mainstream Jazz idiom, with solid original compositions by the Pernals, which are mostly ballads with typical Polish melancholic streak. It is easy on the ear but eventually rather uneventful, although professionally performed by the quintet members with Płużek being the most interesting soloist by far. Having said that, this album offers a pleasant listening experience to mainstream Jazz connoisseurs and can be enjoyed in full, like many similar other albums in that vein. Karolina Pernal is one of relatively few female Polish Jazz instrumentalists, and as such she deserves support and encouragement to achieve an equal footing with her many male cohorts. This debut offering is surely just a first step on the way to a hopefully wonderful musical career. Piotr Nazaruk - flute, clarinet, etc. 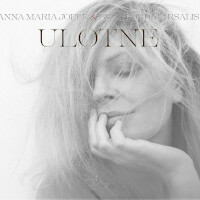 Every new release by the Polish Diva Anna Maria Jopek is a celebration of Culture and a major musical event on an international scale, especially so when it involves a revered Jazz superstar like saxophonist Branford Marsalis. Jopek, famous for her consistent independent Artistic vision, managed to create her own universe, where she does not need to compare or compete with the rest of the world, which enables her complete freedom of expression and self-determination, which only very few Artists worldwide were able to achieve over time. Recording an album with Marsalis was a dream, which Jopek held on to since the time she heard him playing with Sting, which of course was a huge influence on every true music lover at the time. The incredible chemistry that Sting and Marsalis demonstrated was an extremely tall order to follow, but Jopek never eschewed a challenge and this album proves that the realization of that dream was indeed worthwhile waiting for. The album was recorded during two separate recording sessions, twenty one months apart, which considering the busy schedule that Jopek and Marsalis are both entangled in, is not as surprising as it might sound. The somewhat esoteric group of musicians includes percussionist Mino Cinelu, pianists Krzysztof Herdzin (who was also in charge of arrangements and conducting) and Marcin Wasilewski, multi-instrumentalist Piotr Nazaruk, bassist Robert Kubiszyn and Atom String Quartet (violinists Mateusz Smoczyński and Dawid Lubowicz, violist Michał Zaborski and cellist Krzysztof Lenczowski). Polish Folklore Guru Maria Pomianowska guests on one track. The album presents ten tracks on the "formal" first CD and four additional tracks (one of which is an alternate version of a track on the album) on the "bonus" second CD. The songs are mostly originals, written by Jopek or co-written with her spouse Marcin Kydryński, one song is by Herdzin, one by Tomasz Stańko (see below), one by Andrzej Zieliński (Skaldowie) and one by Harry Kandel with the rest being originally traditional Polish Folklore songs. Musically the album marks a return to Jopek's established modus operandi, which combines Polish Folklore and original songwriting, spiced with Jazzy arrangements and of course dominated by her highly original expressionism. The music is deeply soaked in Polish lyricism and melancholy and her decision to sing in the Polish language emphasizes these elements even further. Marsalis plunges into this Slavic environment with vigor and determination, as if Eastern European sensitivities were his second nature, which is quite remarkable. It proves not only his openness and ability to embrace diverse Cultures, but also his incredible musicality, which enables him to feel completely at home in this Slavic musical setting. It also proves, perhaps more importantly, that music is universal, as is human soul, and ethnic boundaries can be crossed and amalgamated on the collective plane. Jopek, Marsalis and all the musicians involved in the recording of this album are of course veteran professionals in addition to their individual Artistic abilities, which results in the music being perfectly and incredibly sensitively executed. This music requires total dedication and every single note played by every musician at every given moment must be precisely articulated to achieve the desired effect. Luckily this team rises to the challenge admirably. The delicate and wonderfully written string arrangements performed by the Atoms add a superbly "angelic" aura to the overall sound and the folkloristic elements by Nazaruk spice the proceedings splendidly. Marsalis plays a series of breathtaking solos throughout the album, exactly as expected of course and Jopek, as always, manages to create goose bumps all over the listener's body regardless if she sings lyrics or awe-inspiring vocalese. When selecting the material for this album, Jopek requested the permission of Tomasz Stańko to use his beautiful ballad "A Farewell To Maria", originally used in the soundtrack of a movie of the same name, as she was sure Marsalis would be able to embrace the lyricism of this incredible melody and create a marvelous solo while performing it. She was right of course and this track is definitely one of the highlights of this album, and at the same time it constitutes a mournful tribute to Stańko, who passed away before the album was released. Another interesting piece is the excellent arrangement of the classic Harry Kandel (born in Lwow) Klezmer tune "A Night In The Garden Of Eden", which features Jopek's hair-raising vocalese. Of course Klezmer music has always been an integral part of the Polish Folklore tapestry, in which the Jewish contribution was invaluable. Overall this album is a Masterpiece from start to finish, which is no news to the numerous Jopek's fans. There is not one moment on this album, which is not inspirational and eloquent, heartwarming and heartfelt. Both deeply Polish and at the same time universally appealing this music knows no stylistic or Cultural boundaries. It is beautiful and sensitive and at the same time deeply emotional, soul-searching and introspective. In short, this album delivers everything one expects to hear when Great Artists are involved. Thank you, as always, my Dear! Przysłuchując się albumowi Artura Majewskiego i Patryka Zakrockiego "Czas Panowania Traw", sięgnąłem po towarzyszący temu wydawnictwu odautorski komentarz. Znalazły się w nim między innymi takie zdania: "[Muzyka] zdaje się oddychać, jest pozbawiona formy, po prostu trwa, jak szum lasu, do którego się wchodzi czy szmer strumienia, który w tym lesie płynie". To w mgnieniu oka przypomniało mi niezwykły stan, w jakim znalazłem się przed kilkoma miesiącami podczas letnich wakacji. Leżałem wówczas właśnie w środku lasu, słońce hojnie ogrzewało moje ciało. Miałem zamknięte oczy, by świadomie jak najszerzej otworzyć... uszy i jak najpełniej oddać się pasjonującym dźwiękom, intensywnie mnie otaczającym. Zastanawiałem się wówczas, jaką muzykę przyrównać do takiej improwizacji lasu. Może Meredith Monk? Może Arild Andersen? Na pewno – Majewski i Zakrocki. Jednocześnie "Czas Panowania Traw" to po prostu bogata i sugestywna muzyka improwizowana. Budzi powyższe skojarzenia bez dosłowności, eksponuje szereg motywów i epizodów, prezentuje zarówno indywidualizm, jak i dialog. Artyści badają dźwięki, odnajdują frazy o rozmaitym natężeniu, dzielą się emocjami. Niepokój, rezygnacja, groza, melancholia, namiastka ładu, niepewna uroda – ja wyczytuję między innymi takie treści w muzyce duetu, ale wiem, że każdy, kto w skupieniu wysłucha tego albumu, odnajdzie tam odmienne myśli i emocje. I po to właśnie – by pozwolić, by w naszym wnętrzu zapanował tytułowy, intymnie przeżywany Czas Traw – warto sięgnąć po płytę Majewskiego i Zakrockiego. 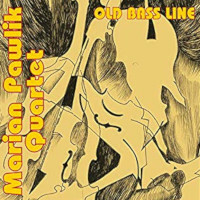 This is the debut album as a leader by veteran Polish bassist/composer Marian Pawlik, renowned as a member of the legendary Polish Jazz-Rock ensemble Dżamble, which recorded just one cult album "Wołanie O Słońce Nad Światem". This album, recorded in a quartet setting, finds Pawlik in the company of the young generation Polish Jazz players: pianist Kuba Płużek, saxophonist Bartłomiej Noszka and drummer Michał Heller. The album presents nine tracks, five of which are originals: two by Pawlik and three by Płużek and four are by celebrated Jazz bassists: two by Paul Chambers and one each by Ron Carter and Oscar Pettiford. The music was excellently recorded and the up-front bass presence is a delight to the many enthusiast of the instrument. As the album's title suggests, it is primarily a tribute to the double bass, its heroes and history, and as a result the music is mostly within the boundaries of American Bebop tradition, albeit the majority of it was composed by the Polish members of the quartet. There is no doubt that the three compositions by Płużek are the most interesting musical endeavors, even if they are still closely related to the Bebop spirit, as they offer typical twists and turns Płużek often employs in his compositions, which make the cognoscenti smile. The music is executed perfectly, with a lot of soloing space offered to the leader, who obviously displays first-class technique and feel for the music. Noszka and Płużek solo extensively as well, always according to what is expected in this kind of music. Heller keeps the time like clockwork and stays mostly in the shadows. Personally I find this kind of music uninteresting, but listeners who still listen to Bebop should be able to enjoy this music and since this is an opportunity to listen to a legendary musician still in great form, it is a source of joy. This is an album by Polish Jazz trumpeter / composer / bandleader / entrepreneur Piotr Schmidt, recorded in a quartet setting with pianist Wojciech Niedziela, bassist Maciej Garbowski and drummer Krzysztof Gradziuk. The album presents twelve compositions, eight of which are credited to all four members of the quartet, two were composed by Schmidt and one each were composed by Krzysztof Komeda and Bartek Pieszka. The death of the Polish / European Jazz icon, trumpeter / composer / bandleader Tomasz Stańko, in June of 2018, marked an end of a chapter, or rather an end of an era in European Jazz. Although in recent years many of the most prominent representatives of post WWII European Jazz sadly departed, Stanko was in many respects more than most an epitome of modern European Jazz and his life and career exemplified the most important characteristics of the idiom. His relentless search of uncharted territory, complete disregard of fads and fashions, his open-mindedness and chameleonic, often extremely dramatic changes in his stylistic approach to Jazz and above all his aesthetics, with reminded uncompromising till the very end, were all also often characteristic of many other leading European Jazz Masters, who managed to create an entirely new form of the Jazz essence, completely free of the limitations and shackles enslaving the genre in the past. Tributes are a tricky business, especially so in the case of iconic figures, which were active for decades and managed to produce not only a rich legacy of recorded music, but more importantly were constantly groundbreaking and innovative. How can a "tribute" album express a respectful and artistically coherent picture of an icon? It takes a lot of courage and determination to attempt a tribute recording, which will be meaningful and offer some intrinsic value beyond being just a reflection of the light of a Giant, with the possibility of failure always lurking in the background. 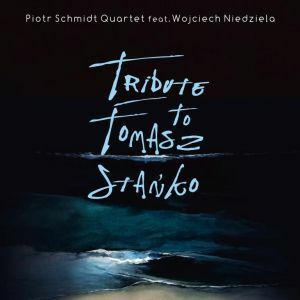 Considering the fact that Stanko's legacy was to a large extent involved with Avant-garde, Improvised Music and Free Jazz, whereas Schmidt consistently dedicates his career to more mainstream manifestations of the Jazz idiom, always emphasizing melody, harmony, ambience and lyricism, the first reaction to the idea of Schmidt recording a Stańko tribute might be that of disbelief and surprise. But Schmidt already proved to be a mastermind of invention in the past and this time he has surely outdone himself, by finding an ingredient of Stańko's legacy that fits like a glove to his own modus operandi. As a result Schmidt, rather than creating a "general" tribute to Stańko, decided to put the spotlight on the gentler side of the Stańko's heritage – Stańko the charmer, the balladeer, the weaver of heartbreakingly beautiful melodies, in short Stańko the Gentle Giant. The resulting concept presents an album full of beautiful, melodic, lyrical Jazz, which strongly resembles that gentle side of Stanko that we all love, but at the same time is completely original as far as the music itself is concerned. The atmosphere and ambience of the album are wonderfully coherent and the music flows serenely penetrating directly the very soul of the listener. The decision of not using and specific tunes composed by Stańko, but creating instead music that "might have been composed" by him is of course brilliant in every respect. The quartet performing the music is ideal for the task. Garbowski and Gradziuk played with Stańko in the recent years and know his music intimately, and their position as one of the leading Polish Jazz rhythm sections is fully justified. 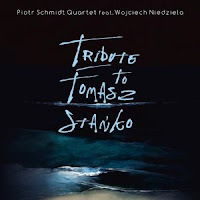 They add the ingredients of space and freedom to the quartet's playing, which is exactly what this music needs to make it completely unwavering and related to Stańko's musical spirit. Niedziela is beautifully romantic and expressive, with each and every note he plays being exactly what is needed to make the overall sound perfect. Schmidt plays delightfully as well, rather sparingly and delicately, again exactly right for what this music needs. At times, with the eyes closed, his trumpet sounds exactly like Stanko's, but obviously Schmidt is not trying to imitate Stańko's playing but, as the entire album does, reproduce the very Stańkoish ambience and spirituality. Overall this is a wonderfully executed and cleverly planned piece of music, which achieves the ambitious goal assigned to it in full. It is also a textbook example of what "tribute" albums should sound like, as well as a wonderful example of a bridge over a chasm of the infamous generation gap, which enables a smooth transition of the heritage from one generation to another. Polish Jazz at its best! 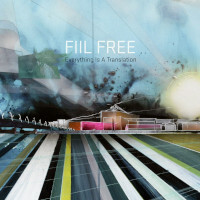 This is the third album by Danish Jazz pianist/composer Lars Fiil, this time recorded with an international septet called Fiil Free, which features also Polish trumpeter Tomasz Dąbrowski, Swedish guitarist Henrik Olsson and four Danish musicians: saxophonist Henrik Pultz Melbye, vibraphonist Martin Fabricius, bassist Casper Nyvang Rask and drummer Bjorn Heeboll. Together they perform five original compositions, all by Fiil. The music is a typical European Free Jazz/Improvised Music endeavor, which in spite of its many degrees of freedom is wonderfully well composed, organized, structured and played, presenting a challenging yet coherent listening experience. The individual compositions develop slowly, starting with single notes or chords, gradually increasing in intensity and complexity, taking the listener on a ride along the process of its development. All the participants contribute their personal input, playing solo passages, which often are very different from typical Jazz solos, but play in fact a similar role. These young musicians are amongst the finest European improvisers and can be heard on many other recordings. This particular setting is actually very minimalistic and there is little place to show the individual skills in a very expressive way, but this minimalism pushes the players to their limits and makes them to reinvent their performing techniques. Dąbrowski, as usual, plays some stunning passages, proving again that his diversity and talent know no borders, but as already said earlier, this album is not about individual statements, but deals with collective improvisation and cooperative performance. One of the pieces starts off with the septet playing a swinging Bebop tune, which has a wonderful small Big Band feel about it, but of course it soon disintegrates into Free Form collective improvisation, which is sort of decomposing the initial structured statement, only to return to it at the very end. There are many such wonderful surprises as the music progresses and when it finally ends, one is definitely left with a wish for more. Overall this album is another proof that the young European Improvising scene is alive and kicking like never before, creating a melting pot of influences between Scandinavian, East and West European cultures, forging a strong Jazz Culture, which hopefully will last for a long time and keep developing in the process. Not to be missed by any Free Jazz fans anywhere in the world! This is the debut album by Polish duo comprising of vocalist Jorgos Skolias and pianist Piotr Rachoń. The album presents ten original compositions, spontaneously created during the recording session and credited to both participants, with the "lyrics" credited to Skolias. The album was recorded at the Monochrom Studio and engineered by Ignacy Gruszecki, with the expected superb sound quality. From the very onset of the music it becomes immediately obvious that this album is unlike anything one might have come across before. As the album's title suggests, this music is completely free from any preconceptions and genre limitations. Skolias and Rachoń let themselves to be led by their respective instincts and the telepathic rapport they manage to establish during the session's duration. They are clearly listening to each other very carefully, and yet they take turns in pushing the music from one plane to another, moving forward and backwards and sideways constantly. Despite the seemingly directionless aura, the music is perfectly coherent and even "organized" and "melodic" most of the time, certainly in the abstract gist of these idioms. With Skolias using almost completely unconventional vocal techniques, Rachoń sticks to almost conventional chords and scales, keeping the overall result "in check", which helps to avoid havoc and confusion. Both players are of course equally inventive at all times. Skolias uses his voice in a multilayered and multidirectional manner, utilizing single words and phrases, Multilanguage and gibberish, natural and distorted vocals and harmonized vocal effects, screams and whispers, in short an amazing array of human-produced natural and unnatural effects, which only he is capable of creating. Rachoń skillfully and incredibly sensibly manages to insert his piano sounds to harmonize perfectly with the barrage of sounds produced by Skolias, creating a symbiotic whole. In fact describing this music in words is an a priori futile effort, and listening to it is the only proper way to treat it. Having said that, one must admit that this music is so extraordinary and Avant-garde that it can be considered groundbreaking, certainly as far as Improvised Vocal Music is concerned. The Giant Step taken by Skolias from his Rock, Blues and Jazz roots towards this revolutionary modus operandi is astonishing in its boldness and ingenuity. Although I have always considered Skolias as a superbly talented and multifaceted artist, this time he truly managed to knock my socks off! Hats off to you my Friend! Bywalcy koncertów Leszka Możdżera otrzymali właśnie niespodziewany i interesujący podarek w postaci płyty z rejestracją koncertu pianisty z Glorią Campaner, zarejestrowanego podczas Enter Enea Festival w Poznaniu w roku 2017. Możdżer dość aktywnie angażuje się w zróżnicowane projekty, cały czas pamiętając, by była to propozycja atrakcyjna dla słuchaczy. Niektórzy czynią z owej atrakcyjności zarzut, jednak większość z niemalejącą przyjemnością słucha kolejnych nagrań. Koncert z Glorią Campaner jest materiałem wręcz idealnym na przebojową jazzową płytę. Włoska artystka skupia się głównie na muzyce klasycznej, jednak chętnie współpracuje z jazzmanami czy nawet DJ-ami. Stąd może dość oryginalny układ programu, koncentrujący się na nie jazzowych kompozytorach. Artyści mogli pójść po linii najmniejszego oporu, wykorzystując wyłącznie chwytliwe i sprawdzone w bojach utwory Możdżera. Wybrali jednak ambitniejsze rozwiązanie, sięgając między innymi po Debussy’ego, Prokofieva, Albéniza i Lutosławskiego. Album rozpoczyna "She Said She Was A Painter" znany z ostatniej płyty tria Możdżer/Danielsson Fresco. Potem na siedem minut słuchacz zanurza się w delikatną, piękną interpretację "Clair De Lune". Bardzo oryginalnie i ciekawie wypada fortepianowy duet w "Libertango" Piazzolli, po którym artyści zabierają nas w podróż nieco bardziej abstrakcyjną. W "Lady Stoned" pojawiają się bowiem instrumenty elektroniczne oraz… śpiewające kamienie (przygotowane przez Pinuccio Sciola), z których dźwięki wydobywała Gloria Campaner. Finałowe "Paganini Variations", jak przystało na podsumowanie całości, zabrzmiały dynamicznie, miejscami z lekką nutką szaleństwa, acz niewątpliwie porywająco. Na scenie do pianistów dołączyła wówczas dwójka perkusjonalistów – Magdalena Kordylasińska-Pękala i Miłosz Pękala. 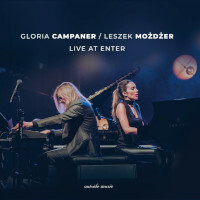 "Live At Enter" to godzina czystej radości obcowania ze świetnie wykonaną muzyką. Stanie się zapewne miłą pamiątką dla tych, którzy mieli przyjemność posłuchać duetu na żywo, ale także ostatnią deską ratunku i pocieszeniem dla osób, które na koncert nie dotarły (mnie się nie udało) i mocno tego żałują (ja osobiście żałuję bardzo). 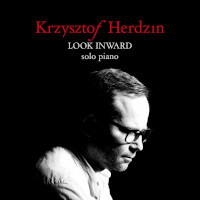 This is a solo piano album by Polish Jazz pianist/composer/arranger Krzysztof Herdzin, who is a highly respected musician on the local scene, known for his professionalism and perfectionism. The album, which is Herdzin's first solo piano venture, presents nine improvised pieces, which as the album's title and the liner notes describe, are highly personal reflections of his musical life's experiences, impulsively created on the spur of the moment. In the last few years of his career Herdzin gradually moved away from Jazz towards other musical areas, mostly contemporary Classical Music and stage music. This album follows the same pattern, perhaps subconsciously, but it has very little to do with Jazz per se, and is much closer to Classical forms of expression. Although the melodic content is very fragmented, the overall mood is mostly lyrical and romantic, often quite minimalist. Herdzin uses mostly single notes and chords are being used sparingly, which creates tension and anticipation, but on the other hand makes the music somewhat difficult to follow after a while. Overall this is an interesting experiment, which offers a unique glimpse of Herdzin's complex musical personality. His customary listeners might find this music a tad too difficult to swallow, surely in the initial attempt, but this album grows on the listener in time. Herdzin is unquestionably a highly talented composer and performer, but he is often more appreciated by his peers than by the general public. It is good to see him let go of his disciplined approach and indulge in improvisation, even if the improvisation is somewhat imprisoned by his subliminal sense of order. I hope this album gets the exposure it deserves, and music connoisseurs will discover another facet of Herdzin's music. Recommended! This is an album by a Polish Jazz trio led by drummer/composer Rafal Gorzycki, who also plays piano, with flautist Tomasz Pawlicki and guitarist Jakub Ziołek, both of which employ also electronics. 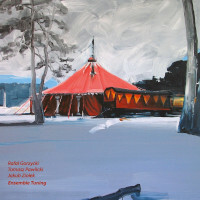 The album presents ten original compositions, eight of which are credited to all the trio members and two are by Gorzycki. This album is a second part of a triptych of trio recordings by Gorzycki, continuing the "Playing" album released a couple of years earlier. The music was excellently recorded at the RecPublica Studios and engineered by Łukasz Olejarczyk. The music is an esoteric mixture of various elements, acoustic and electronic, combining modern Classical Music vistas with improvisation and Ambient music and creating a magical impressionist aura of anticipation and mysticism. There are also elements of Serialism and Minimalism, all wonderfully weaved into a coherent but hard to pinpoint continuity, which tends to flow as if propelled by its own will. This music is more about form and sound than about melody or harmony, very abstract and almost involuntarily creating images of impressionist paintings before the listener's eyes. Pawlicki stands in the very epicenter of this music, since his magic flute produces most of the directly audible sound, creating short melodic threads and swirls, all of which are simply irresistibly beautiful. In complete contrast the guitar played by Ziołek sounds nothing like a guitar, producing a plethora of sound layers and ambient noises in the background, which is the foundation upon which the flute parts float, similar to a wind which carries the golden autumn leaves. Gorzycki also hardly ever plays any straightforward rhythms and his pulses are more pointers than actual rhythmic patterns. His piano parts are also quite atypical and serve as accents rather than harmonies. There is no doubt that this album constitutes a new stage in the long and prolific career of Gorzycki, taking him into a new realm unlike anything else he attempted earlier, although definitely being a logical extension of his earlier works. This music is more complex and more abstract than his earlier efforts but also much more concentrated and expressive. It is definitely much closer to cotemporary Classical Chamber Music than to Jazz, and will probably be received as such by the listeners. Absurdly perhaps, it is also more accessible and universal than many of his earlier efforts. 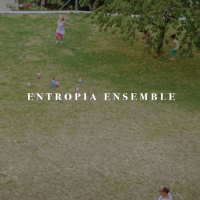 Overall this is a stunning piece of music, which offers novel approach to music making, unusual usage of the instruments and explores unchartered territory as far as improvisation and composition are intertwined and is additionally spiced with the sensational flute playing, altogether offering a sensational musical experience. Wholeheartedly recommended! This is the debut album by a duo comprising of veteran Polish Jazz pianist / composer / bandleader / entrepreneur Krzysztof Kobyliński and French trumpeter Erik Truffaz. The album presents nine original compositions, all by Kobyliński. The music is all based on the strongly melodic themes, which are Kobyliński's trademark, full of typical Polish melancholy and lyricism and often reflecting references to Polish Folklore. Some of these compositions appeared on earlier recordings by Kobyliński, but this intimate duo setting puts them in a different light and mood, and makes them worth revisiting. Most of the improvisational artistry on this album is naturally performed by Truffaz, who is a proven Master of his instrument. On this album Truffaz demonstrates a mellow, melodic mood, as appropriate for the circumstances, but his playing is full of artistry and sensitivity. Kobyliński stays mostly in the background, accompanying the trumpet lead amicably, taking occasional solos as well. The duo works together well and manages to create a full musical experience, proving that the unusual piano / trumpet instrumentation is completely viable and artistically convincing. Overall this is a enjoyable album, which emphasizes the gentle side of the Jazz idiom, well within the mainstream tradition, but offers an unusual instrumental setting and deeply melodic contents, which is accessible to a wide range of Jazz and Jazz related listeners. Ensemble Tuning tworzą wyjątkowi muzycy: Tomasz Pawlicki - flecista i kompozytor, jeden z największych instrumentalistów w Polsce, koncertmistrz Opery Nova w Bydgoszczy, oraz Kuba Ziołek – laureat Paszportu Polityki 2016, lider wielu ważnych projektów i zespołów z pogranicza muzyki eksperymentalnej, elektronicznej i improwizowanej – multiinstrumentalista, obsługujący tutaj elektronikę . Lider projektu i perkusista, kompozytor – Rafał Gorzycki, jest zaliczany do grona najważniejszych i najbardziej twórczych, płodnych artystów współczesnego jazzu oraz kameralistyki w Polsce. Nagrał do tej pory 22 autorskie albumy i jest laureatem wielu nagród, wyróżnień oraz stypendiów. Założeniem tria jest praca nad brzmieniem, jego transformowanie i ekspozycja jako głównej składowej muzycznej kreacji. Pierwsze koncerty formacji odbyły się jesienią 2017 roku. Klarnecista Paweł Szamburski po znakomitym solowym "Ceratitis Capitata", które było ukłonem w stronę tradycyjnej muzyki sakralnej różnych religii basenu Morza Śródziemnego, wraz z wiolonczelistą Tomaszem Pokrzywińskim i klarnecistą Michałem Górczyńskim porusza kolejne ciekawe wątki muzyczne. Tym razem popularyzuje średniowieczne utwory Piotra z Grudziądza - postaci, która do 1975 roku nie była znana muzykologom. Dopiero czeski naukowiec Jaromír Černý odkrył jego imię zaszyfrowane w jednym z poematów. Piotr z Grudziądza to postać tajemnicza i wciąż niewiele na jego temat wiemy - w dużym uproszczeniu może oprócz tego, że sporo podróżował i napisał kilkadziesiąt utworów. Na szczęście z roku na rok twórczość kompozytora staje się coraz bardziej popularna, o czym może świadczyć to, że utwory kompozytora można usłyszeć na Festiwalu Muzyki Dawnej w Grudziądzu, który jest jemu poświęcony. Zresztą koncerty w ramach tego wydarzenia odbywają się nie tylko w rodzimym mieście artysty, ale też w innych regionach Polski. Cegiełkę dokłada do tego Bastarda, czyli trio, które podchodzi do tematów Piotra z Grudziądza z dużym poszanowaniem dla ich charakteru. Jednocześnie Paweł Szamburski, Tomasz Pokrzywiński i Michał Górczyński nadają im współczesny sznyt, co tylko dodaje kompozycjom kolorytu. Utwory, które zostały wybrane na potrzeby albumu "Promitat Eterno", tworzą atmosferę pełnego skupienia i nastrój lekkiego oderwania od rzeczywistości. Artyści artykułują długimi dźwiękami, więc muzyka wybrzmiewa powoli. Czasami dwa klarnety i wiolonczela tworzą mocniejsze frazy, pojawiają się też wyciszenia, ledwo słyszalne szmery - to wszystko układa się jednak w przekonującą całość i tak naprawdę trudno rozpatrywać tę płytę w kontekście poszczególnych utworów. W muzyce Bastardy słychać echa nie tylko muzyki dawnej, ale też tego, co Szamburski i Górczyński proponują słuchaczom w kwartecie klarnetowym Ircha. Można też mieć skojarzenia z muzyką filmową Mikołaja Trzaski, która przykuwa uwagę nieprzegadanymi motywami. A z solową płytą Pawła Szamburskiego Bastardę łączy z kolei oszczędność brzmieniowa oraz surowy, pozbawiony ozdobników charakter prezentowanych kompozycji. Przez cały czas trwania albumu jesteśmy pogrążeni w mroku i melancholii. Ze średniowiecznej otchłani wydobywa nas jednak ostatni utwór na płycie, w którym gościnnie pojawia się pianista Marcin Masecki. To bardzo ciekawy kontrapunkt dla muzyki Piotra z Grudziądza w interpretacji Bastardy, a zarazem doskonałe zwieńczenie bardzo udanego wydawnictwa. 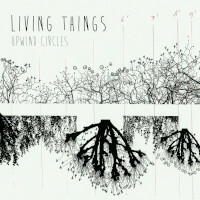 This is the debut album by young European Jazz ensemble Living Things, which comprises of Danish saxophonist/composer Sven Dam Meinild, Polish trumpeter Tomasz Dąbrowski, French pianist / vibraphonist Paul Wacrenier and a Dutch rhythm section: bassist Casper Nyvang Rask and drummer Rune Lohse. All five musicians are also credited for playing the flute. The album presents fourteen original compositions, nine composed by Meinild and five by Wacrenier. The music is based on composed themes, which serve as basis for individual and collective improvisations. It is very open and unconstrained, obviously geared towards improvisation and individuality, like all the albums released by the Copenhagen based Barefoot Records collective, owned by the musicians who record on the label and which is home to some of the most fascinating young European Jazz and Improvised Music. Traces of many diverse musical influences can be found in this music, from contemporary Classical to World Music and Folklore, via the Jazz tradition, which is treated here very open-mindedly. There are also many superb individual statements by all the musicians involved. Dąbrowski, as usual, creates many heart-wrenching trumpet solos, which repeatedly give evidence to the fact that he is one of the leading European trumpet players today. But to be fair also Meinild and Wacrenier contribute many enchanted vistas on their respective instruments, and the rhythm section, which plays anything but rhythm of course, glues the music together. There young European lions are so creative and so productive/prolific, that it becomes almost impossible to follow the avalanche of releases produced by them across the continent. Jazz/Improvised Music is experiencing an incredible Renaissance, which creates an unprecedented surge of new music, new talents and new musical horizons, of which this music is a commendable representative. Well done! This is a live recording by a quintet led by Polish Jazz saxophonist/composer Irek Wojtczak, which also includes trumpeter Tomasz Dąbrowski, pianist Piotr Mania, bassist Adam Żuchowski and drummer Kuba Staruszkiewicz. The quintet plays music that was recorded by the "American" quintet led by Wojtczak, which recorded the splendid "Folk Five" album for the For Tune label slightly over a year before this music was recorded. As the title suggests, this recording is another attempt to play almost the same music that was recorded for the "Folk Five" album, but this time by an all-Polish quintet. 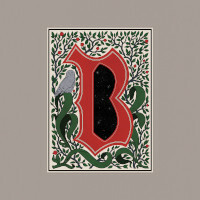 The album presents eight tunes, all originating in Polish Folklore and arranged by Wojtczak, six of which were already recorded on "Folk Five" and two are new tunes used here for the first time. The musical concept is of course quite clear: Jazz-World Fusion which transfers some of the treasures of Polish Folklore into the Jazz idiom, an idea that is quite common in Polish Jazz since its Genesis. As usual, some efforts dealing with this concept worked out better than others, but overall the seven or so decades of Polish Jazz produced a sizable and highly original amount of superb music created under this moniker. The aforementioned "Folk Five" album was definitely one of the highlights of that idiom and the attempt to try and repeat the magic that happened on that album was a bold and audacious undertaking. I am happy to say that Wojtczak and his cohorts not only managed to recreate the magic, but also managed to take the music to a higher plane. There is of course no doubt as to the quality of the music or the level of the execution, they are both simply extraordinary. 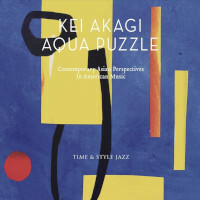 Therefore the comparison between the two versions of the music must touch upon the fundamental differences between American and European Jazz, of which these two albums are a textbook example or even a paradigm. One might of course say that such comparison is a priori unfair, as the Polish Jazz musicians are way more familiar and culturally accustomed to the Polish Folklore element of the music than their American counterparts. But such argument is simply irrelevant, as these two albums clearly show. These albums are different not because the lack of familiarity with Polish Folklore by the American musicians, but by the intrinsic attitude towards improvisation and even more broadly towards music making, between the American and the European Jazz musicians. As a result of these fundamental differences "Folk Five" remains an excellent, very well played album, whereas "Play It Again" shows where the same music can get to, when played without the restrictions the American Jazz tradition imposes even on the best musicians. The flair, elegance, imagination, feeling and openness present on this album takes it to a completely new level of awareness and creativity. But comparisons aside, this is above all a masterpiece of modern Polish/European Jazz, which takes the Jazz-World Fusion idiom light years ahead in comparison to its rather humble beginnings, clearly showing that Polish Jazz is a stronghold of originality, imagination and musical ingenuity. This is an absolute must to every Polish Jazz fan and a supreme gem of an album for all seasons. Hats off! 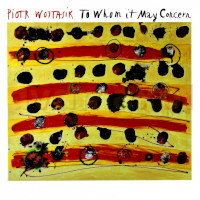 This is an album by the veteran Polish Jazz trumpeter / composer / bandleader / educator Piotr Wojtasik, recorded by an international sextet, which features alongside Wojtasik also Hungarian saxophonist/flautist Viktor Toth, Polish saxophonist Sylwester Ostrowski, Dutch bassist Joris Teepe and American (resident in Europe) pianist Bobby Few and drummer John Betsch. The album, which was recorded in France, presents eight original compositions, all by Wojtasik. The music explores the roots of Jazz and stretches between Blues influenced early Jazz through familiar Bebop mainstream and towards more open/Free oriented music, but stays within well defined boundaries. The compositions are diverse and interesting, clearly showing Wojtasik as a mature and focused composer, who is able to weave nice melodic themes and expand them into a fully structured ensemble pieces. Both Wojtasik and Ostrowski consistently drift towards American Jazz and obviously prefer to play and record with American musicians, but they do it on an equal footing with the Americans, completely devoid of the inferiority complex that characterized whole generations of Polish Jazz musicians for decades. The music on this album clearly shows that they are able to stand shoulder to shoulder with their cohorts. The album is full of strong personal statements by all the participants, as appropriate for such endeavor, with the leader exploring his extensive arsenal of trumpet magic, moving with ease between raw and fully powered statements and delicate balladry. His unique and very personal style remains as one of the most distinctive voices of Polish Jazz trumpet, equaled by but a very few. Overall this is an excellent album by any standard and although it offers contemporary Jazz of the American flavor, rather than European Jazz which one expects to hear from European Jazz musicians, it is perfectly executed, interesting and inspiring, full of great ideas and obviously highly engaging. Wojtasik deserves admiration and praise for consistency, which characterizes his entire career, and most importantly for doing his thing regardless of trends and fads of fashion. Keep swinging Maestro!